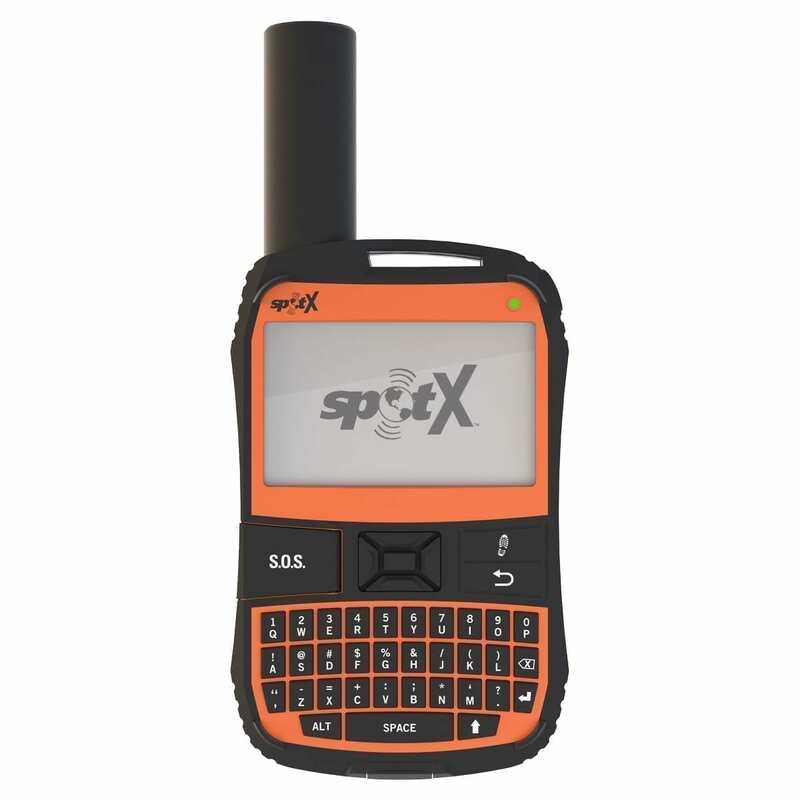 Globalstar SPOT X 2-Way Satellite Messenger - Celestaire, Inc.
SPOT X provides 2-way satellite messaging so you can stay connected. MESSAGE – Exchange messages with any cell phone number or email address from virtually anywhere in the world. S.O.S. – Send an S.O.S. to the 24/7 Search & Rescue center, message back and forth about the nature of your emergency, and receive confirmation when help is on the way. TRACKING – Select from 2½, 5, 10, 30 or 60 minute tracking intervals, and let family, friends and other adventurers follow your progress with SPOT’s easy-to-use Google Maps™ interface. POST TO SOCIAL – Link your social accounts to keep your friends and family in the know wherever you go. 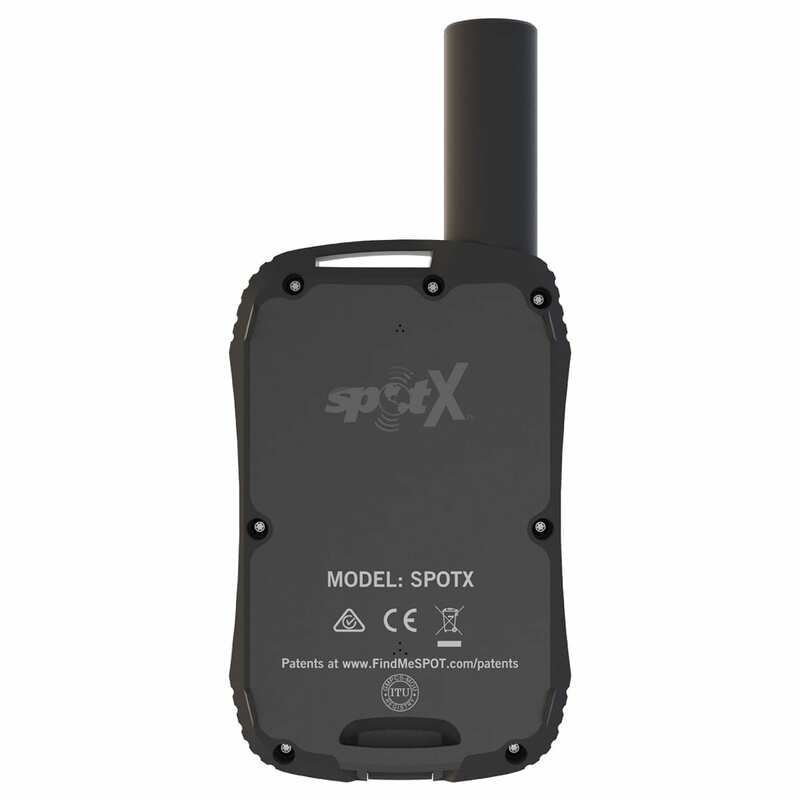 SPOT X offers two different service subscription options. Choose either a monthly Flex Plan or annual contract plan. Flex Plans are best for seasonal use and only require a one-month subscription. Annual plans are perfect for get-up-and-go year round use with an added benefit of monthly payment. Annual contract plans also have the option for you to pay upfront and get all allotted messages in advance. *Enrollment in any Flex Plan is subject to a $24.99 Annual Flex Charge that is collected once per year at renewal, even if the device is suspended at that time. This Flex Charge allows the customer to suspend service anytime during the year without activation fee recurrence when turning service on again throughout the year. All Flex Plans have a one month minimum term. 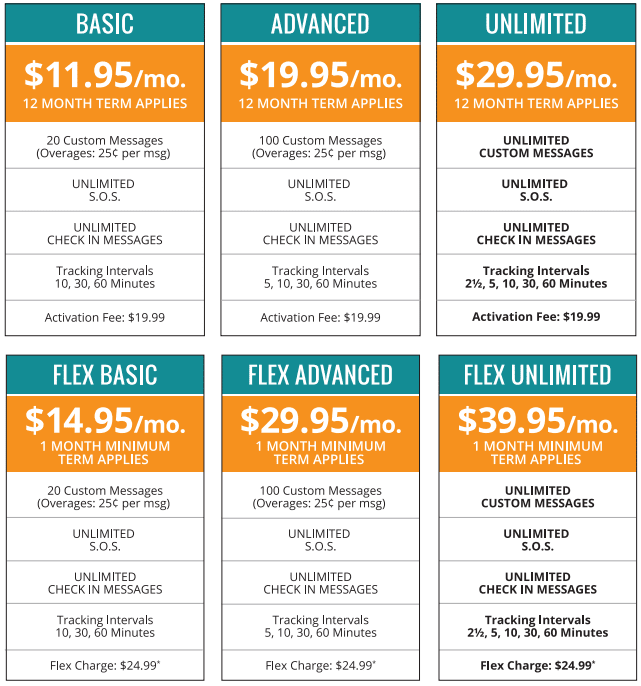 Message allotment per Flex Plan includes both incoming and outgoing messages.